Hotel / Bed & Breakfast Casa Laurin is the best choice for travelers who wish to rest for a day, or possibly a week or more, in beautiful Escazú, a quiet upscale suburb of San José, Costa Rica. Make sure to visit our oasis in the city with landscaped gardens and spacious facilities where Ginette Laurin offers her continuing attention to hospitality and detail that has made her so respected. At Casa Laurin you always get the attention that you deserve and the privacy that you want! Visit us soon! We have 5 rooms each with its own characteristics. We customize everything according to your needs and preferences which could include arranging your appointments, transportation, sightseeing and meals. Tell us what you need and we will arrange it. Service is our priority and pampering is our specialty! Why stay under gray skies or unbearable heat when you can enjoy beautiful weather in Costa Rica while taking care of your health!!! Get a 10% discount booking directly on our website. Discounted rate plus local tax will be shown on your confirmation. The quiet and secure upscale suburb of San José. Escazú has easy access to the highways that lead to all of Costa Rica’s most popular attractions. You can get to San José within 15-20 minutes by bus or taxi. many restaurants serving international cuisine. 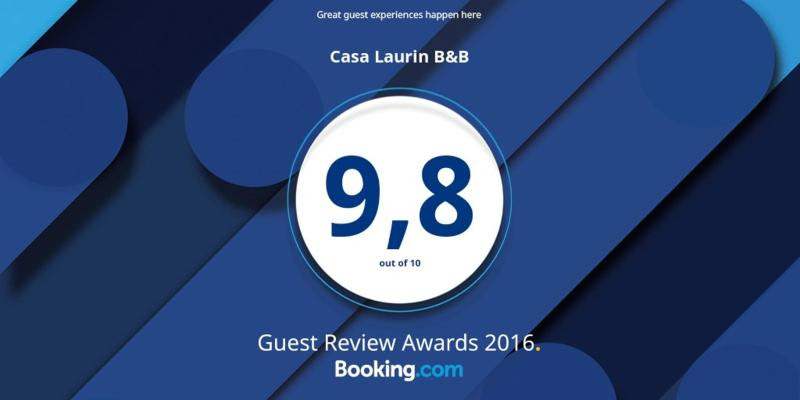 Best of Best is what Casa Laurin B&B is about. Stayed at Casa Laurin April 2016 and October 2016, each time all my needs were attended to like, car rental, cell phone and airport shuttle. The house is well maintained by qualified maintenance personal and cleaning staff do an excellent job in preparing rooms. In August, I had my final and most extensive dental procedure to be completed! I made my dental appt. and my lodging appt. again with Ginette at Casa Laurin! I was so excited for my second trip to Costa Rica!!! While on the plane, I realized that my excitement was really about going to Casa Laurin, the enchanted cottage!!! We had an excellent stay at Casa Laurin B&B before flying out of Costa Rica. The house is just beautiful and very nicely decorated. It feels like home from the first moment. The rooms are big with many shelves, wardrobes and a large comfortable bed. Ginette is a very nice, interesting and helpful host. The price we give you includes everything: rental, insurance, driving permit and taxes. The price we give you is a special rate that we get from agencies and it is the final price you will pay. No surprise when getting the vehicule. It will be our pleasure to help you choose the right vehicule according to the itinerary and activities you plan to do during your stay.